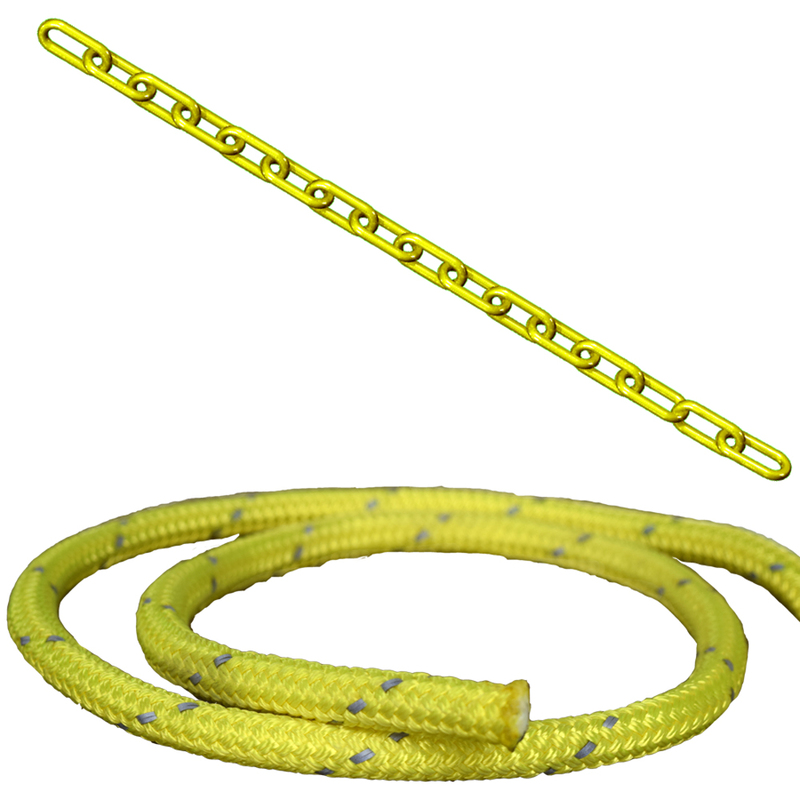 Brightly Colored Plastic Chain & Rope | Provides Vehicular Protection | Defines Roadways & Walkways. This brightly colored plastic chain is mainly used for non-structural purposes; such as a barrier or to guide traffic. Chain is durable, lightweight and weather resistant; and made from high-density polyethylene containing UV inhibitors to resist fading and becoming brittle for a minimum of 5 years. Reflective safety rope and hardware are a great option as well. 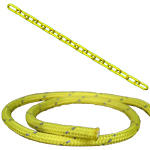 Rope is available in yellow or black. Hardware to be used with the rope and chain can be seen here.